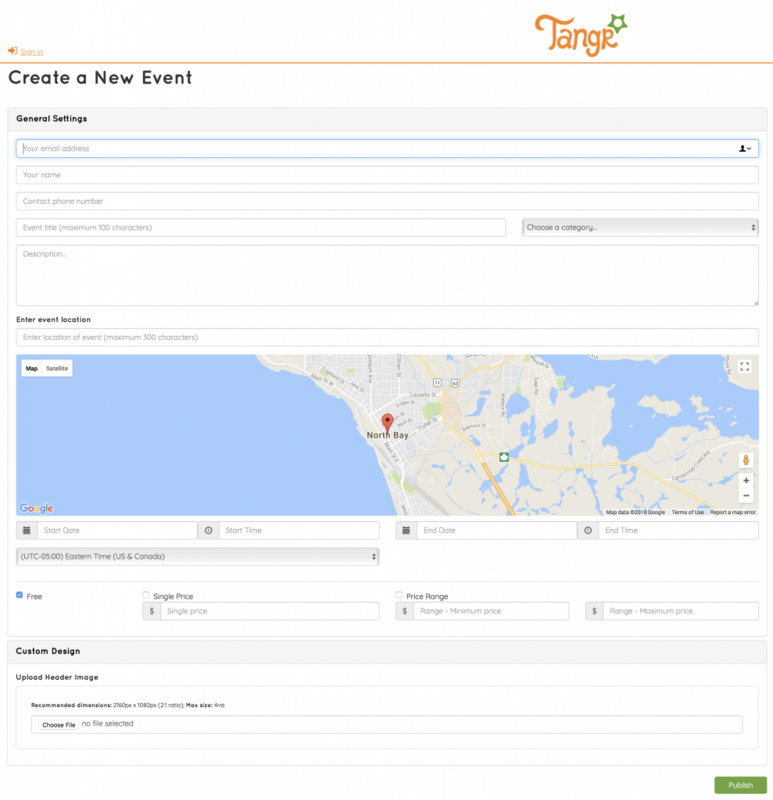 Sign in to Tangr.com and select the orange ‘Create Event’ button in the right corner of the navigation. Complete the form details and click the green ‘Publish’ button at the bottom. Open the ‘Activate Your Event on Tangr’ email in your inbox and Click on the ‘Active’ button. If the link doesn’t open please contact support@tangr.com for assistance. 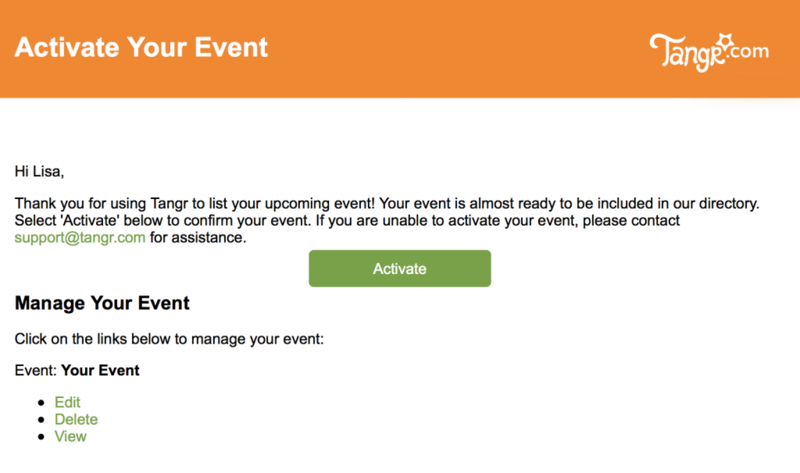 When your event has been successfully activated you will be sent to your event’s general settings page on Tangr.com. If you need to make changes to your event, unpublish the event, make changes, then publish again.